Three years after foraying into India, fashion retailer Hennes & Mauritz (H&M) has crossed Rs 1,000 crore yearly sales mark in the country. However, the growth of the brand was significantly slower at 29% as compared to the preceding years when it doubled business each year. The sales of the world's second-largest clothing firm climbed to Rs 1109 crore for the year to end of November from Rs 860 crore a year ago. 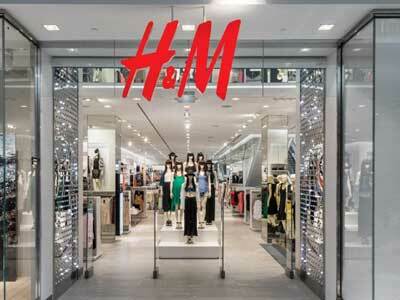 Following a December-November financial year, H&M had entered India in October 2015. The company has launched, on average, a store every month. Currently, it has 39 stores in the country. Earlier, the fashion retailer had said that it would introduce 50 stores in India with an investment of Rs 700 crore by 2020. Globally, the clothing chain posted a 5% rise in yearly sales. It is running nearly 5000 stores worldwide. Karl-Johan Persson, Global CEO at H&M, said, "Against a backdrop of rapid changes in the fashion industry, in 2018 we accelerated our transformation to future proof our business, ending a challenging year for the H&M Group and the sector with strong signals that we are on track."